Needing Some Refreshment This Summer? Wanting to refresh and rejuvenate yourself in the things of God this summer? HopeTV can help you do this! http://www.hopetelevision.ca/about/ With a number of TV programs at your fingertips, you can do just that. Check it out! Here is a link to the schedule. HOPETV is currently available on digital cable in approximately 6 million Canadian homes. Watch nationally on Bell 591, throughout Alberta & BC on Telus Optik 875 or Telus Satellite 591, throughout Manitoba on Shaw/MTS 11 and throughout Ontario and New Brunswick on Rogers 174. There are numerous scheduled shows to meet everyone’s needs. 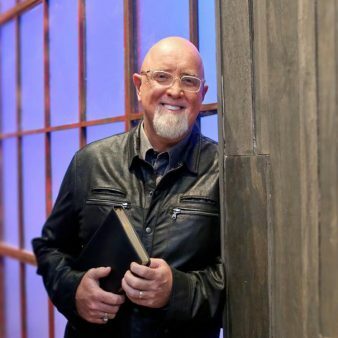 I personally enjoy an in-depth study of God’s word with Walk in the Word with James MacDonald. I am sure you will find a program that fits your personal needs. Grab the TV remote, throw off your shoes, sit in your favourite chair with a cup of iced tea and get refreshed! What a perfect time to be encouraged and feed your soul as you listen to those that love Jesus. Listening to the words of Scriptures will help us stand firm when life’s battles come our way. Let’s “watch” what the summer will hold.